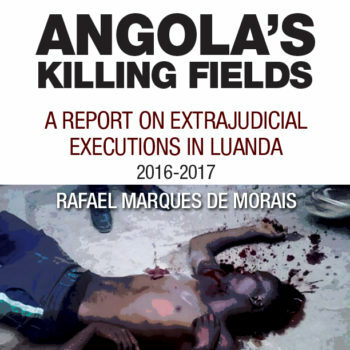 This report shows how the Presidency of the Republic of Angola has become the site of shady business deals, a fact that has consequences for citizens’ freedom and development, as well as for the country’s political and economic stability. The text responds President José Eduardo dos Santos’s call, on 21 November 2009, for a zero tolerance policy against corruption. For the sake of clarity, this investigation limits itself to a small demonstration of the business practices employed by the minister of State and head of the Military Bureau (Casa Militar) in the Presidency, General Manuel Hélder Vieira Dias Júnior “Kopelipa”. This is the man responsible for co-ordinating the defence and security sectors of the state. General Kopelipa is one of the triumvirate that today dominates Angola’s political economy, along with General Leopoldino Fragoso do Nascimento “Dino”, the presidency’s head of telecommunications, and Manuel Vicente, the chairman and CEO of the national oil company, Sonangol. Their dealings acknowledge no distinction between public and private affairs. Manuel Vicente is the link that connects the considerable powers accumulated by the generals, to Sonangol and to his own position as one of the most powerful members of the MPLA Political Bureau, for being the president’s protégé, and in charge of overseeing the private business dealings of the ruling party. Sonangol is the biggest company in the country and the state’s major source of revenue. Several analysts have viewed Sonangol as the most important factor in ensuring the survival of President Dos Santos’s regime – in the worlds of finance, politics and diplomacy as well as the main source of illegal self-enrichment for the top state officials. In some instances the report refers to the relationships of mutual interest and complicity with other members of the government and public officials in carrying out business, that involves the looting of state assets, and other acts that go against the law of the land.